إذا كنت تبحث عن فندق بموقع جيد في ميريمبيولا، فقد وجدت ضالتك في Seashells Apartments Merimbula . لا يبعد الفندق كثيراً عن مركز المدينة، فهو يقع على بعد 0.5 km منها. في حين يستغرق الطريق منها إلى المطار حوالي 5 دقيقة. سوف يعشق النزلاء موقع هذا الفندق، فهو قريب من أهم المعالم السياحية في المدينة كمثل Merimbula Fresh Food Market, ميرمبولا دايفرز, ‪Merimbula Aquarium & Wharf‬ . 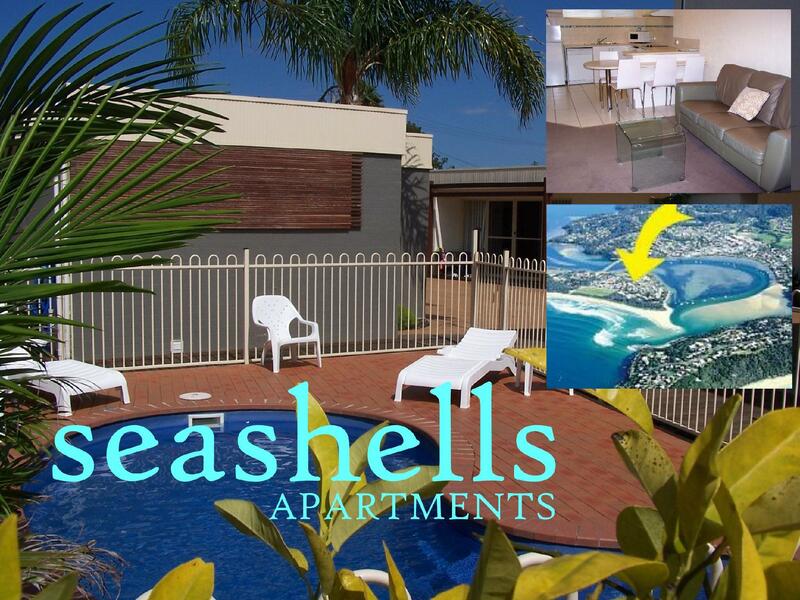 يقدم Seashells Apartments Merimbula خدمات لا غبار عليها وكل أشكال اللياقة وحسن الضيافة اللازمة لإسعاد ضيوفه. يمكن الاستمتاع بمجموعة من الخدمات على أعلى المستويات في الفندق كمثل واي فاي مجاني في جميع الغرف, خدمة غسيل ذاتية, مطبخ, تسجيل وصول/خروج سريع, تخزين الأمتعة. تنعكس أجواء Seashells Apartments Merimbula في غرف الضيوف.تلفزيون بشاشة مسطحة, مدخل خاص, غرف لغير المدخنين, مكيف هواء, تدفئة هي بعض الميزات الموجود في العديد من الغرف. يقدم الفندق مجموعة واسعة من وسائل الراحة المتنوعة، كمثل: مسارات المشي, تأجير معدات الرياضات المائية, دروس في الركمجة, مسار جولف - ضمن 3 كم, حمام سباحة خارجي. 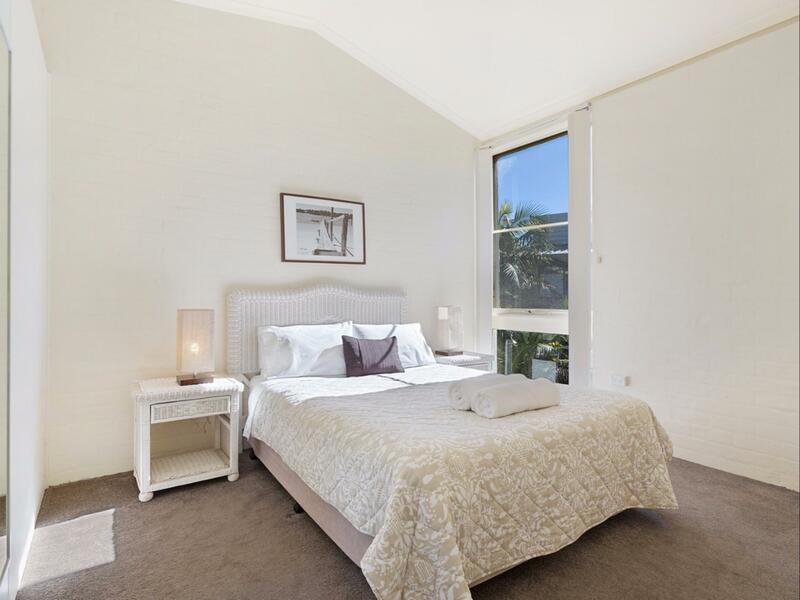 استمتع بخدمات لا يعلى عليها وعنوان ذو اعتبار في Seashells Apartments Merimbula . The unit given to us was great, very clean, well maintained. it comes with a fully equipped kitchen that allowed us to cook a great meal on the Chinese new year eve. Michael is a great host, very welcoming, friendly and responsive to our enquiries. Will definitely recommend this place to other people. Seashells surpassed expections by a mile. Lovely modern accommodation with every thing you could wish for and more. Fabulous host, just a treat to deal with. So reasonably priced I was blown away with all the extras that were in that were included. Ocean, river, shops were just a stroll away but far enough off the main road for the unit to be really quiet. Thanks Michael for a fab stay. Overall quite ok. Modern and light. Only thing was, not very private; you looked straight into unit accross! And rather noisy. Bathroom quite tiny and no where to put toileteries. No cooling or fan in bedroom, but weather for us was ok. Very clean and well appointed 1 bedroom apartment. Friendly staff. Everything I wanted was available in the kitchen and the super modern washing machine/dryer was a bonus. Location is great halfway between Fishpen and the beach and a short walk across the bridge in to town. I would recommend a stay here. Spotless and comfortable 1 bed apartment in a well cared for complex. Michael was a great host, we felt very welcome. Great shower pressure and comfy bed. A really nice area to stay - under 5 minutes easy walk to Cranky's cafe (highly recommended), the lake and the beach. Loved our stay in this wonderful town. Highly recommended to you! Loved the place, pity I was there on business send could not stay longer. helpful host / manager and a good position for a Merimbula holiday. Spacious unit with clean rooms , bedding etc. Highly recommended. A 'welcome' text sent on day of arrival set the tone of my visit. The unit was nicely set out and welcoming. Washing machine within unit was a bonus. Being a block from the beach was great. Although across the bridge it was an easy walk to town. Michael was very accomodating and helpful. The apartment was very clean and it has everything to make our stay very comfortable. I will definitely stay with them again. I booked a 2 bedroom apartment for 4 adults and 2 children (age 3&6). Not enough information was provided at the time of booking. After the payment was made , I received an email only because I had requested an extra bed and was told that maximum occupancy of 4 included children. I checked the hotel policy and it said children upto 12 years stay for free if using existing bedding. The staff in charge did not let us stay there and we had to get another hotel to accommodate 2 adults. Hotel policy clearly does not align to what is presented on the Agoda site. It was a surprise getaway for my husband for his birthday and it was spoilt because of staff's ignorance. Would recommend to everyone. Location is perfect. The staff were helpful and friendly. Seashells provided a few equipment to loan on site like bikes etc. the self contained apartment was neat tidy and well kept. Defiantly staying again great value. We love staying in Merimbula. Good decision to stop over at the resort. The beach was so beautiful & halal restaurant was also available. Love the seafood, especially the fish & chips. Nice place to stay with family for holiday at the beach. A very peaceful seaside resort & would highly recommend others to stay here too.